Hedges create a natural looking boundary instead of looking at walls, fences and other artificial structures. 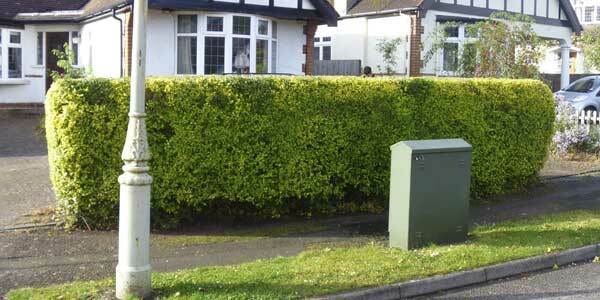 There’s always maintenance involved in anything worthwhile and that includes trimming hedges to keep them neat. Hedge trimming can be anything from annually to up to three trims a year depending on species and styling requirements. When trimming you need to know what you’re trimming, as you can create bare patches or trim too much off which can be detrimental to the survival of the plant. Conifers are the most common hedges which suffer from bare or brown patches. Evergreens such as Yew, Lawson Cypress, Leyland Cypress, Laurel, Bay, Pyracanther, Box, Privet and Holly can be trimmed all through the summer and up to late September, depending on the UK weather conditions. Most conifers will not grow back if they are trimmed back too hard so take care. Deciduous hedges like Beech, Hawthorn, Hornbeam and Hazel etc.. are usually trimmed annually after flowering, so between June and September.Trimming can be done with sharp Hedge Trimmers or quality shears. We are happy to come an quote you for any hedge trimming requirements that you may have. We have experience in trimming hedges of all kinds and sizes. 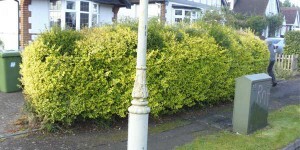 We can also provide you with information on our recommended trimming intervals to maintain the health and appearance of any hedges you have.